Olson 30 Class members and others. 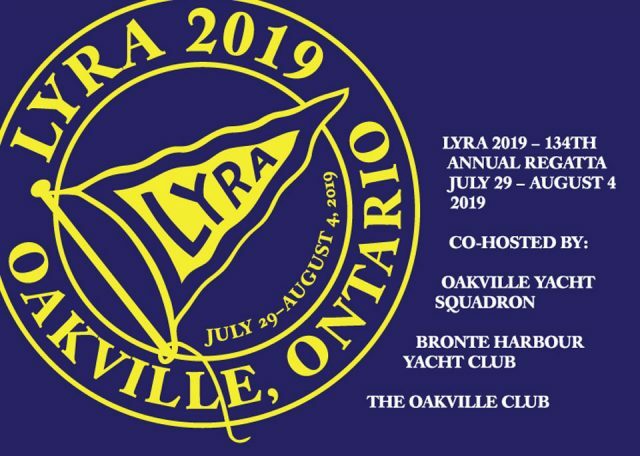 We are excited to announce our Championship Regatta, August 2-4, 2019 in Oakville Ontario, in conjunction with the 134th LYRA Annual Regatta. We have commitment from the LYRA Organizing Authority to host our event and the Notice of Race will be published in January of 2019. This event will be considered the Olson 30 Nationals and North Americans Combined and will be a celebration for the 40th Anniversary for the Olson 30 Class. As anyone who is or has been a part of the Class Association, class events for the Olson 30 have been on the decline in recent years and we have sketched out an event we can be proud of. We will be announcing all the details by January 2019 including regatta fees, sponsors, race documents and schedule. Registration will be live by the 3rd week of January 2019. • charter boats and charter crews. We hope to have at least two, if not more, crews from outside Lake Ontario travel to the event. The Olson 30 Class Association will sponsor the first two crews who commit to the event and intend to charter, and the O30 class will arrange charters. • an idea of interest from owners of modified Olson 30’s, as well as Olson 29’s and 25’s. If we can get 4 boats we will run a modified fleet start for open transom and other non-class compliant boats. Class rules do not permit heavily modified boats to compete for the Class championships but we invite any and all boats to join us, and sail on our course. • buy-in. Who is interested in this event? We have at least 9 Olson 30’s on Lake Ontario and close vicinity, a handful more in close range. We need buy-in from owners and crews and also on the organizational side. LYRA will run the racing but we can make the event really special on the on-shore side if we put in the effort. Watch this page for more info and as well permanent pages will be going up on olson30.org by mid-December. See you on the line! NAC – LYRA 2015 – NOR/SI Finalized, Registration SOON! 2013 North Americans Venue is Toronto! Old School defends its North American Title! Old School in lead after two days of racing. North American Championships begin tomorrow! Blue Star is National Champion! Barient#22 two speed winches , $500 the pair , good condition .